MONTCLAIR, Calif., December 11, 2018	(Newswire.com) - Food and beverage industry especially has to take special care of the Reverse osmosis systems they use, it has to comply with certain regulations in the U.S. to continue staying in operation. 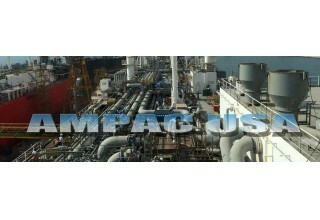 AMPAC USA, a renowned water treatment systems manufacturer in the U.S. has been working in the industry for past 28 years. Reverse osmosis has been around for centuries. However, its applications on a larger scale didn’t begin before the 1960s. As the global shortage of water began disrupting the everyday lives of people, solutions were sought to end the woes. That is when RO as a commercial product was applied. Today, this system is used in practically every industry. Be it in desalination plants where it helps to generate freshwater at a larger scale or pharmaceutical, manufacturing facilities, and the food and beverage industries. Applications of the process have reached hospitals and chemistry labs as well, providing high purity water for chemical research and water specially purified for dialysis in patients. With its increase of scope, an aspect which is important to be careful about is using the right RO system that gives the best results. The Food and Drug Administration in the U.S. provides guidelines of a standard RO system to give the best results and avoid discrepancies. What is the actual Reverse Osmosis? It reverses the natural effect of osmosis. When two solutions of varying concentration are separated by a semi-permeable membrane, the solution with less number of dissolved ions and salts tends to transfer water to the solution with more concentration to balance both the solutions. Reverse osmosis is achieved when external pressure is applied to the more concentrated solutions to give out more pure solvent on the other side. Water molecules usually form hydrogen bonds that can easily fit through the semi-permeable membrane with external pressure. The rest of the solutes like organic substances, TDS, contaminants and some chemicals even do not pass through the membrane. Salt ions especially are rejected based on a mechanism related to the valence of the ion. Science says ions are repelled through dielectric interactions and so highly charged ions are repelled at the longest distance from the membrane. Other monovalent ions like chlorine, are not repelled as strongly. The common rejection rate, therefore, is always 85%-98%. Quite a lot of research has been done to make the semipermeable membrane as efficient as possible. 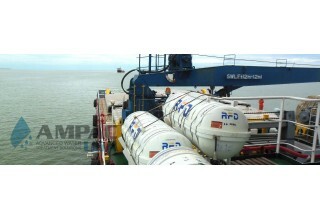 Today, membranes are often custom made for special process requirements. The average commercial membrane today is made up of polysulfone, cellulose acetate, and polyamides. A few other membranes are often produced by a single polymer or copolymer layer based on the need from the RO system. The semi-permeable RO membrane consists of a skin of 0.25 microns and a layer to support which is 100 microns. The skin in this pair up is the actual barrier and only allows water to pass through. The specification of this outer skin decides the level of filtration a system will have. There are majorly 2 types of RO membrane constructions used. Spiral wound: These are sheets of the membrane which are put together with a mesh spacer and connect to a permeate tube in a wound-up fashion. Any of these membrane constructions are assembled into a pressured housing. Here is how the complete Reverse Osmosis process comes together for the operation of water filtration. The source water is sent into a pre-filtration tank to be treated before the actual RO process. The product water is then stored in a tank where the concentration is drained. Most of the time, a cellulose acetate membrane is used for the process of RO. It generally operates at a temperature range of 55F to 85F. The resulting water is then sent out for post-treatment based on the quality of water achieved. The feed water is often sent through multiple stages of the pre-filter stage. It can involve only or a combination of water softening, sand bed, chlorinator, anthracite filter, retention tank, activated charcoal, etc. It completely depends on the quality of feed water and the quality of water desired. One of the biggest challenges that RO systems face every time is the build-up of rejected solute on the feed side of the membrane. A flush cycle is induced to reduce the build-up. Spiral wound membranes get lesser build-up as compared to hollow fiber. An ideal membrane lasts up to 2-3 years with regular maintenance. If a system works with a deionizer or if many elements are connected together, it can give you as much as 0.1 ppm TDS water. Another point to focus on is that many times, bacterial growth in the membranes have been reported and the Center for Disease Control has therefore suggested a few pointers to keep in mind. Certain gram-negative bacteria do multiply in RO purified water. It is important to regularly disinfect the entire RO system. The RO system rejects bacteria better when in continuous use. You can design or buy an ideal RO system for your business or home on the basis of technical requirements. Every system has to meet the technical requirements mentioned by the Food and Drug Administration in the U.S. AMPAC USA products follow every regulation and standard in the U.S. pertaining to reverse osmosis. Which is why the Reverse osmosis systems hence produced provide safe water used for varied kinds of applications in every industry especially food and beverages. Before getting into manufacturing an RO system, one must ensure all the technical requirements and standards are fulfilled to avoid discrepancies at a larger scale.